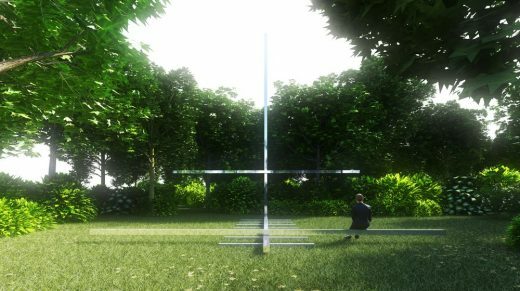 Curated by Kerem Piker and coordinated by Istanbul Foundation for Culture and Arts (İKSV), the Pavilion of Turkey will present Vardiya at the 16th International Architecture Exhibition of La Biennale di Venezia, taking place from May 26th to November 25th 2018. 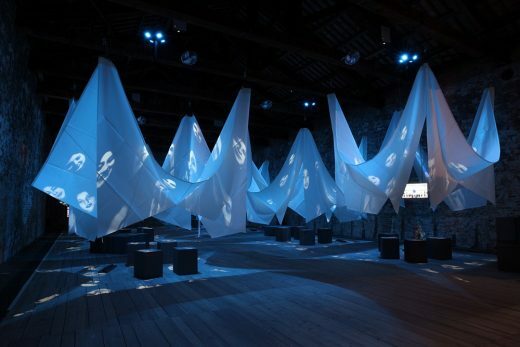 Co-sponsored by Schüco Turkey and VitrA, the Pavilion of Turkey is located at Sale d’Armi, Arsenale. Responding to the Biennale Architettura 2018 theme of Freespace, Vardiya is a programme of public events that will transform the Pavilion of Turkey into a staging ground for creative encounter, collaborative production and cultural exchange across borders. 122 international architecture students from 16 countries will visit the Pavilion of Turkey in weekly ʻshifts’ as active producers of the evolving exhibition content. They will participate in workshops, engage in roundtable discussions and hear keynote lectures driven by guest scholars, designers and architects. 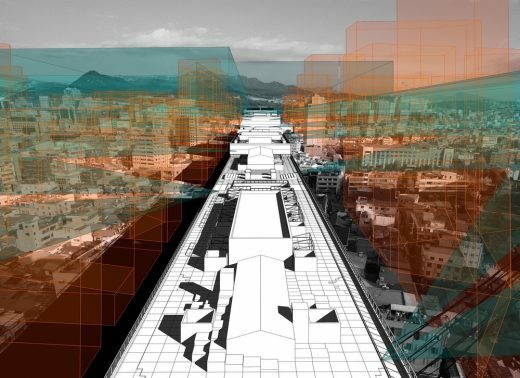 The project started with an open call to architecture students around the world, generating 452 responses to the question: “Why does the biennial exist? What does the biennial do? For whom does the biennial exist?”. The programme will begin with multi-media installations, through which visitors will be informed about forthcoming activities and workshop themes. 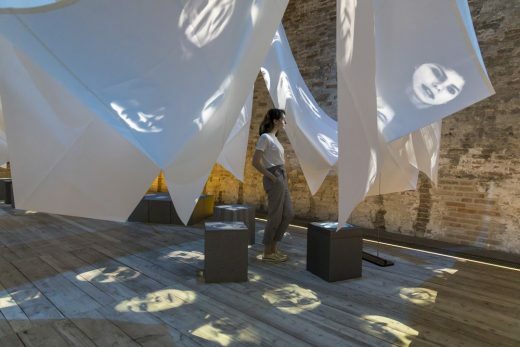 Throughout the twenty-five weeks of La Biennale, the Pavilion of Turkey will host 13 workshops, focusing on a variety of topics; around 50 digital meetings with participants from a range of disciplines; and 6 lectures by keynote speakers, including an international roster of leading architects. All of the workshops, digital meetings and lectures will be open to visitors during biennale opening hours. More than just an exhibition space, the Pavilion of Turkey is conceived as a meeting place. Vardiya proposes a spatial organization that is at once scattered, inclusive, and open to change and transformation. Vardiya aims to stimulate an ongoing critical dialogue among students, academics, professionals and the public about the role of the biennial. Emphasising the power of creative collaborations on an international scale, the curatorial programme reimagines biennials as platforms that create new networks and forms of communication, encourage inclusivity and promote interaction between cultures. 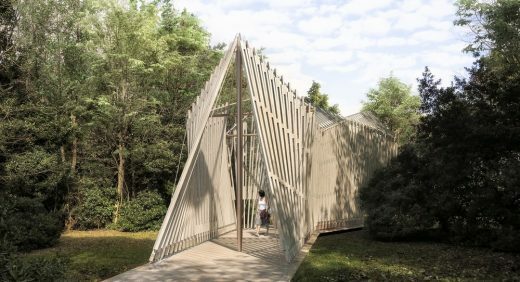 In addition to creating a space for all parties to benefit from this opportunity of interplay, the Pavilion of Turkey hopes to incorporate individual and collective experiments from young creative minds into the locus of contemporary architectural discourse. Vardiya is curated by Kerem Piker. The associate curators are Cansu Cürgen, Yelta Köm, Nizam Onur Sönmez, Yağız Söylev and Erdem Tüzün. Vardiya project consists of 13 workshops, each lasting one week and run by invited professionals and student groups. The first workshop will begin on Sunday 27 May after the public opening on Saturday 26 May and will focus on the theme of the Media. Taking place every other week, the workshops will be based on the following topics: The Venice Times; Future of Childhood; Film Space as Free Space: Making a B-Horror Movie Fragment; Architecture as Critical Media; Taking Scarpa for a Walk; (N)everland; Obituary Island; Of Journeys; Venice: Surface, Geometry, Texture, Colour; The Vast Minority; Redrawing Venice; Treasure Hunt and Retrospective. Each workshop will culminate with a keynote lecture, starting with award-winning architect Emre Arolat on Sunday 27 May, followed by leading architecture and design figures such as: architect Eva Franch Gilabert, architect Juhani Pallasmaa, design critic and curator of the 4th Istanbul Design Biennial Jan Boelen and media artist and designer Refik Anadol. Around 50 digital meetings will be broadcast online from the Pavilion of Turkey. Based on a variety of different themes, each session will start with a 15 minute discussion on: ʻWhy does the biennial exist? What does the biennial do? 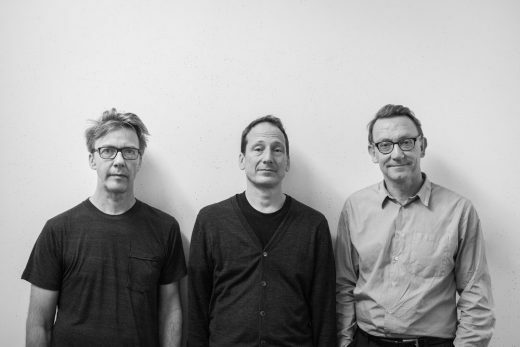 For whom does the biennial exist?’ Speakers will bring diverse perspectives from a range of backgrounds, including architect Bernard Khoury, academic and architect Andrew Kovacs, architect Han Tümertekin and architecture editor and critic Cynthia Davidson. Keynote lectures and digital meetings will be broadcast online on Vardiya’s Youtube channel Vardiya Online and blog: vardiyaxpress.com. A set of four books have been published to accompany the project Vardiya, titled: Idea, Open Call, Conversations and Pavilion. The books are edited by Cansu Cürgen, Kerem Piker and Nizam Onur Sönmez and feature texts by the curatorial team, workshop coordinators, and other collaborators. The Vardiya book will be available in a bilingual format – English and Turkish – at the opening of the 16th International Architecture Exhibition of La Biennale di Venezia and will then be distributed by Yapı Kredi Publications in selected bookstores. The book and the exhibition’s visual identity are designed by ONAGÖRE – Okay Karadayılar and Ali Taptık. 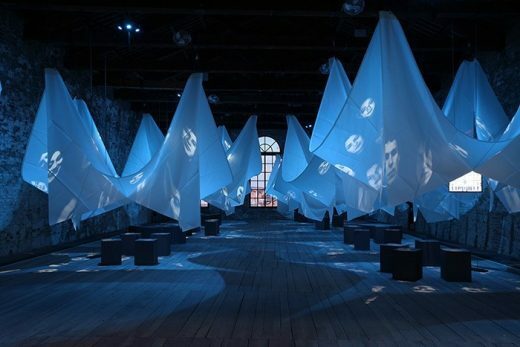 The exhibition design of Vardiya is by KPM – Kerem Piker Mimarlık, Architectural Studio, and video content is by SARRAF GALEYAN MEKANİK – Can Tanyeli. The Pavilion of Turkey’s exhibition is coordinated by İKSV (Istanbul Foundation for Culture and Arts) and realised through the co-sponsorship of Schüco Turkey and VitrA, with the lighting support of TEPTA Lighting, the contribution of the Ministry of Culture and Tourism and under the auspices of the Ministry of Foreign Affairs of the Republic of Turkey. 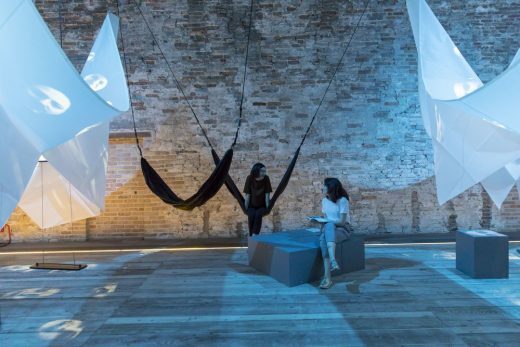 The Pavilion of Turkey opened at the 14th International Architecture Exhibition of La Biennale di Venezia in 2014 for the first time, upon a 20-year allotment of the Arsenale with İKSV’s initiation and the contribution of 21 supporters. The Selection Committee for the Pavilion of Turkey at the 16th International Architecture Exhibition of La Biennale di Venezia The Selection Committee chose Vardiya from a number of open call applications following a rigorous evaluation process. The Committee’s members are: Prof. Dr. Sibel Bozdoğan, Levent Çalıkoğlu, Prof. Dr. Arzu Erdem, Prof. Dr. Murat Güvenç, Yeşim Hatırlı, Prof. Dr. Suha Özkan and Prof. Dr. Uğur Tanyeli. KEREM PİKER, curator kerempiker.com Lives and works in Istanbul. Kerem Piker was born in Ankara in 1978. He received his BArch degree in Architecture in 2001 at Istanbul Technical University and his MSC in Arch degree in 2004 at TU Delft. In 2010, He was selected as one of best 40 architects in Europe under the age of 40 by Chicago Atheneum. In 2011 Kerem Piker founded KPM-Kerem Piker Mimarlık, Architectural Studio. KPM was awarded in several architectural competitions. In 2016, Akyazı Cultural Center designed by KPM received the best project prize in the 15th National Architecture Awards. Since 1998, Kerem Piker has taught in architectural schools as a visiting lecturer and juror, including İstanbul Technical University, Yıldız Technical University, Gebze Institute of Technology, Bilgi University and Abdullah Gül University.